“Balance for Better” is the official slogan used for International Women’s Day. Gender equality generally aspire to get equal opportunities and considerations in every aspects of life, regardless of gender, and it has benefits for everyone. That’s what we want to highlight through this contest. International Women's Day is a good opportunity to remind everyone how much gender equality is an important matter. Art offers the possibility to share freely and creatively your thoughts, opinions or ideas about this topic. The participants should create an artwork to highlight the issues of Gender Equality. Youngsters from age 12 up till 30. Art format: Free interpretation it could be 2D, 3D, 4D in techniques of paint, charcoal, pencil, engraving, 3D print, photo, photo editing, performance in video, etc. Dimensions max : for painting and drawing A1 size, for sculptures and installations max 100x100x100cm. Formation of the art work – name of the artwork, of the artist, and his email/phone number must be provided at the same time as your artwork. The amounts of likes on Facebook and Instagram for a same artwork will be added to obtain the final score, which will determine the contest ranking. Only the publications of the youth house will be considered for the contest. The “likes” on other pictures won’t be taken into account. The number of “likes” are gonna be counted on April 12, around 16:00. People can of course “like” as many artworks as they want. 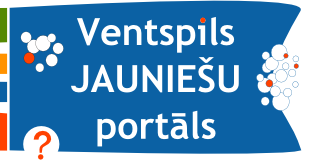 Your artworks should be delivered before April 5th 19:00 to Ventspils Youth house. The exhibition will stand for 1 week from April 8 to April 12, the votes results and winners of the contest will be announced on April 12 at 18:00 in the Youth House. The winner of the contest will receive a gift card of 30€ usable in an art supplies store. Some Goodies are gonna be offered for other participants.